Community Board members and Bushwick Citizens gathered Wednesday night at Bushwick's monthly Community Board 4 meeting at Hope Gardens Multi-Service center, the first one since August's recess and the primary elections. The room was packed, and there was plenty to discuss, but the subject that got the most airtime by far was the controversial rezoning proposal of the former site of the Rheingold Brewery. Emotions ran high throughout the evening as neighbors of the proposed rezoning presented a petition stating their position on the project and community board members defended their actions and assured attendees that they'd done their best to make decisions that were in the best interest of the whole community. 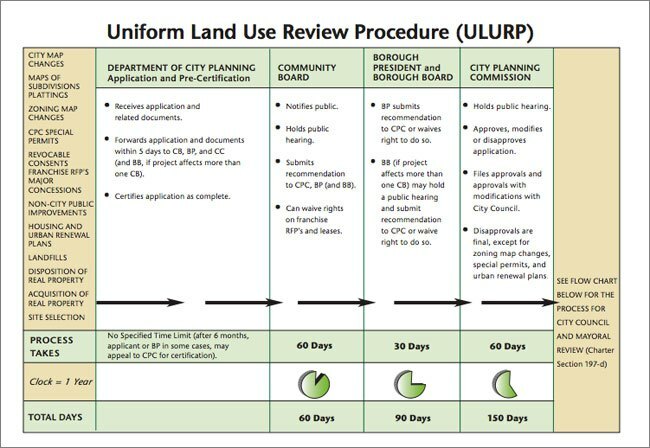 Although advisory, Community Board's decision on rezoning is one of the steps required by law for a rezoning proposal to go into effect. Community Board 4 voted and approved rezoning of the Rheingold Brewery site in a now-infamous private vote that Bushwick Daily pointed out. The proposal is currently being reviewed by the City Planning Commission, and Bushwick residents have until September 23rd to record their concerns to the Commission before they vote. After the City Planning Commission vote, the proposal goes to the City Council and finally it will be reviewed by the mayor. The first part of the CB4 meeting went smoothly and without interruption; but when newly elected City Council members Rafael Espinal and Antonio Reynoso took the floor to introduce themselves they were quickly interrupted and asked about the effects of the rezoning on education in Bushwick. The energetic response from many of the people in the room caused District Manager Nadine Whitted and Community Board Chairperson Julie Dent to decide to deviate from the meeting's planned agenda to address the issues brought up by the citizens. Addressing the whole room, Dent told them that the Community Board was "not trying to hide anything, and we're not getting anything out of this [decision, either]" and told community members that their attendance at Community Board meetings and their involvement in community decisions was very much invited. "CB4's number one priority has always been housing," she said, and reminded people that "what was low-income ten years ago is not low-income today." She stressed that it was the board's responsibility to make decisions about matters like this, and that she could guarantee that their decisions were not always going to be 100% supported by the community. Faced with accusations that their meetings about the rezoning had not been well-publicized, Whitted told the room that Community Board 4 routinely announces meetings and sends out over 900 copies of their newsletter, reminding people that their schedule is very consistent: "We've been having meetings in this room for 25 years now. I'm sorry that you weren't here. I don't know what else to say," to which one member of the community responded that local pols who had been trying to get out the vote this election season had been much more effective at reaching the constituency. It is also important to note that the Community Board explicitly requested that Bushwick Daily retract the statement that the meeting for the vote was public after we ran an announcement about the July 29th meeting. The Community Board also reminded agitated attendees that it takes a long view of the neighborhood. Community Board Parks and Recreation chair Robert Camacho recalled the days when "nobody knew nothing about Bushwick. When people were getting killed, when houses were burning down, nobody was talking about Bushwick," to which Whitted added that "We've been here for 30-something years trying to rebuild. [Back then] when we said we lived here people asked what was wrong with us...we were the group that made there that there was a Hope Gardens, [because] people where burning their homes for the insurance money and moving away. Our community is changing as we speak. Some of us like it, some of us hate it, but you're invited to join us." In case you've had chance to take a look at the rezoning proposal but haven't been able to decode the city planning-speak they're written in, here's what we're currently looking at in a nutshell: the proposed rezoning would change about nine blocks of Bushwick on the Flushing Ave border. The zoning designation of the area is currently M3, which means that it’s slated for use in heavy manufacturing. The rezoning would shift most of the property down to M1, which is the designation for light manufacturing, such as a co-packing manufacturing facility to serve small business owners. Several blocks would become R6 and R7 zones, for residential buildings no taller than eight stories. It’s important to note that the rezoning and the development, while simultaneously initiated, are two separate endeavors; the former would certainly pave the way for the latter, but could also open the space up for other new uses (while some of the property is currently just vacant lot), which is one of the reasons why the rezoning application was recommended by borough president Marty Markowitz and others who have favored it. Parts of the land that don't include the Rheingold property are included in the rezoning plan as well, at the request of city officials in an attempt to make the zoning of the neighborhood more consistent. The development proposal also includes plans for open space that could be a public park between Evergreen St. and Stanwix St, and some changes to the flow of traffic around the neighborhood, both of which have been met with consternation. The recommendation also includes provisions for the affordable housing units to be priced by more rigorous standards of affordability estimation, the addition of more senior housing, securing and increasing the open space plans, making sure that part of the zone remains designated for light manufacturing, and exploring options for increasing parking. 24% of the residential units will be affordable but the issue remains: by neighborhood standards, even these affordable units are simply not affordable. The proposed rent for the affordable units starts at $900 a month for a studio, which is well above the means of many Bushwick residents, according to census data and studies done by the NYU Furman Center for Real Estate and Urban Policy. Several academics from The New School's Graduate Program in Design and Urban Ecologies attended Wednesday night's community board meeting. A representative of the program described the 80% market rate, 20% affordable housing model of development as being ineffective at maintaining economic diversity, estimating the median household income for a family in Bushwick at about $35,ooo a year, which means that those families can afford to spend a maximum of $1,000 a month on housing. In the current development plans, this wouldn't even cover the rent for a 1-bedroom, let alone a family-sized apartment. Additionally, were it possible to include information about the undocumented residents of Bushwick, who as such are not included in census data and estimations of median household income, it's likely that Bushwick's median household income would be significantly less than the current estimation. At Tuesday night meeting, homeowners and long-time residents of the neighborhood sat next to local business owners and advocates for social justice to discuss the next step in the process of addressing the rezoning. Kevin Worthington, a representative from the office of 34th district City Councilwoman Diana Reyna, fielded questions about the rezoning process and provided explanations about the legal designations, repeating throughout the meeting that the Councilwoman’s office was interested in receiving as much input from the community as possible from the community, but that the most useful input the office could receive would be unified proposals for alternative uses for the rezoned area, such as a petition. Some concerns about the transparency of the complex rezoning process can be laid to rest by a working knowledge of local civic institutions. The Community Board meetings which took place in July occurred right before the Board’s annual recess; August is the only month of the year during which there is no public CB4 meeting on the 3rd Wednesday of the month. And while Councilmember Reyna’s office seems to have taken the community’s concerns seriously, this past August also happens to have been the height of a local campaign season that was particularly demanding for our district; Councilwoman Reyna’s chief of staff Antonio Reynoso, who won the democratic primary in a race against Vito Lopez, took a three month leave of absence to campaign, diminishing the size of Reyna’s already-small staff. The rezoning process will wrap up, either with approval or disapproval of the rezoning in December, leaving the community plenty of time to address officials with their concerns and to make their cases for alternative plans. Until then, stay tuned for more information about meetings, and feel free to take a look at the petition.